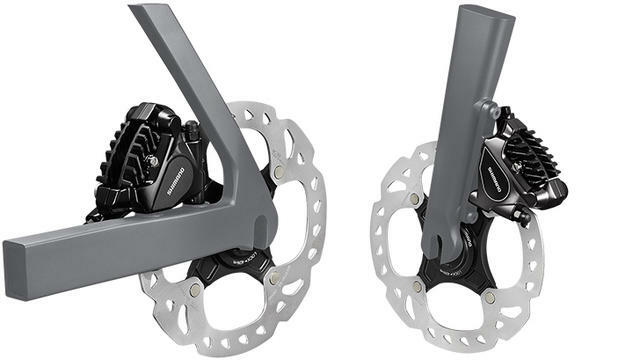 Road disc brakes, worth the upgrade or not? Now that the 2015 Tour is over, the UCI is allowing pro teams to experiment with road disc brakes and the necessity of neutral service might actually force the manufacturers to agree on a standard. It looks like the Shimano flat mount with 12mm through axle is going to be the de facto standard but I guess we'll have to see how it shakes out. The next few pro races are in the USA but maybe we'll see some on the Vuelta later this year? It's interesting that so far there hasn't been much adoption of disc brakes in the pro teams in 2016, apparently due to the trouble with neutral service support, questions about wheel changes, concerns with braking points if riders are using different gear, and the added weight. I'm sure the pro teams are under a tremendous amount of pressure from the manufacturers to push disc brakes and boost sales. Maybe disc brakes just aren't going to catch on, outside of specialist disciplines like cyclocross and gravel grinding. Re: Road disc brake standard finally coming? Re: Road disc brakes, worth the upgrade or not? 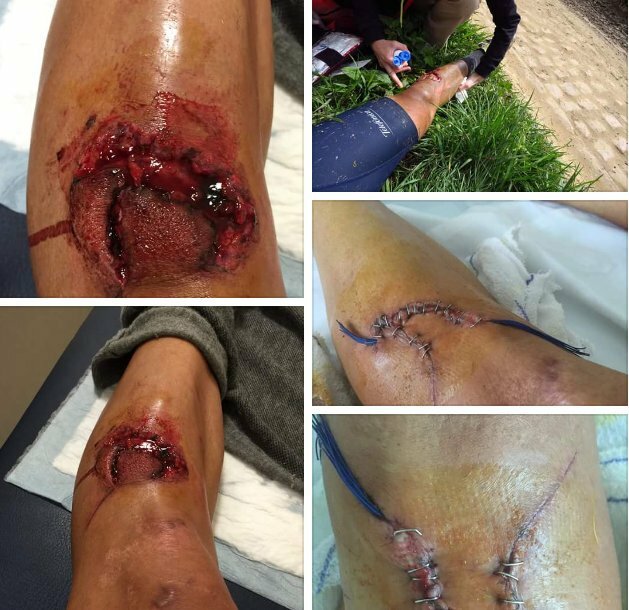 Wow, big news this week after a minor accident in the 2016 Paris-Roubaix left one rider with a deep wound from contact with another team's disc brakes. Ma dove sono i BIG del ciclismo ? Non hanno visto "lo squarcio" alla gamba di @franventoso ? Tutti zitti finché non capita a voi ?????? It will be interesting to see the fallout from this incident. "We have asked to suspend the tests on the disc brakes to the UCI," CPA press officer Laura Mora said. "They will probably suspend it. We have just had the support of the equipment commission for that. "We have been talking about the risks of the use of the disc brakes since months and we have sent letters in the past to the UCI and the organizers to avoid such risks. Now they are going to finally listen to our voice. We don't want to stop the progress but we want to find common solutions for the introduction of new technologies without risks for the riders and definitely with their involvment."